Yesterday I published a little HowTo article providing a start-up widget for Magetno. As a follow up to that article, here is a practical widget you can use on your Magento 1.4 powered store. Here are few screenshots of the widgets frontend and backend look and feel. Hope you find it useful both for usage and for learning material. The file is corrupt buddy! 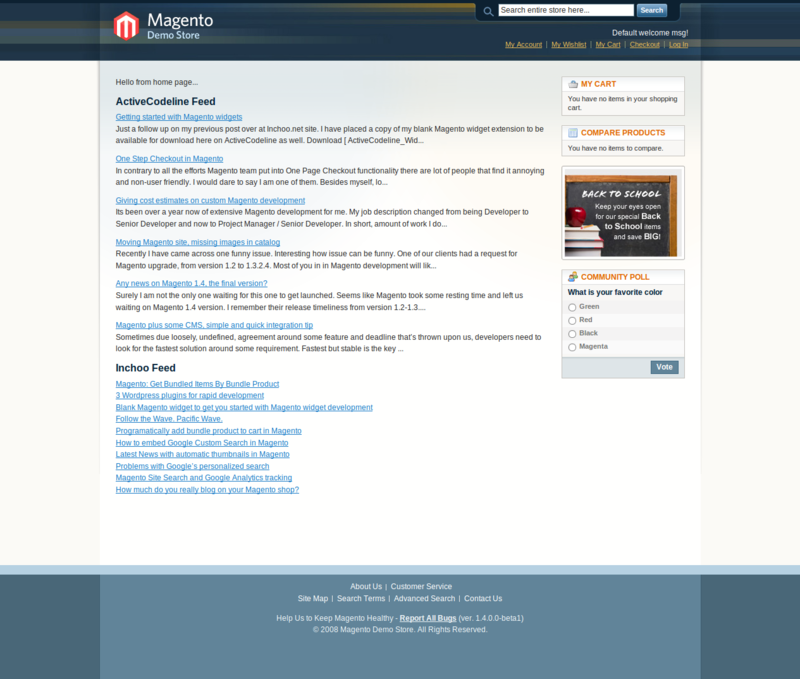 Btw thanks for the great articles covering magento. Wow – this is exactly what I’ve been looking for. 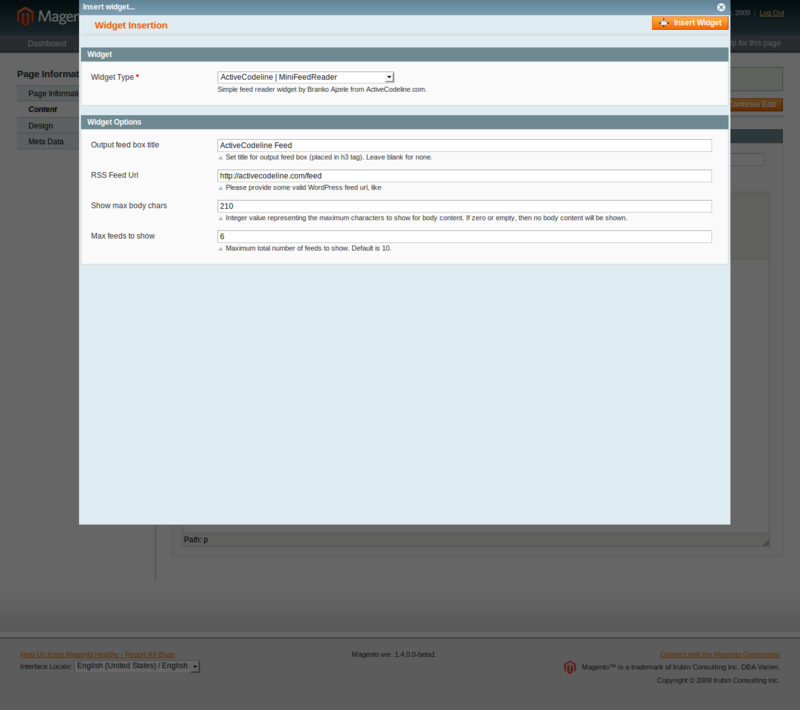 Will this only work in Magento 1.4? I can’t wait for that to be released as it looks like there are several long needed improvements! Thanks again for the great widget and information in general.